The spring health regime is not complete without a spring wardrobe. Having decided to take up jogging, tennis, healthy eating and Tai Chi, I knew exactly where I could purchase all the required items in the same location and for a very reasonable price too. Budapest’s Józsefvárosi piac is known these days as the Chinese Market, from the large quantities of both goods and vendors that hail from the Far East. It is massive, now the biggest of all Budapest's market places. The market can be found just past Kerepesi cemetery, behind the yard for Józsefvárosi railway station and is easy to reach by tram from Blaha Lujza tér. If Budapest seems deserted on a Sunday morning, it is because most of the population has relocated to Józsefvárosi's acres of trading country, a mammoth site filled with endless lines of stalls, selling everything under the sun, but mostly trainers and sports wear. There is no problem guessing which tram stop to alight at, since nearing the destination, a thousand varieties of the plastic super-strong Hong Kong laundry bag or those chemical hold-alls from Finland suddenly form a wall by the exit and petite Chinese grandmothers emerge from underneath and carry the load a few paces to the market's entrance. The market's busy entrance even has a large sign in Chinese characters and there are also messages warning the visitor what is allowed and what not. A grumpy security guard, dressed from head to toe in combat gear shows little interest when we pass through the metal detector and the accusatory whine starts up, 'It must be your umbrella' he says with little concern. No sooner are we inside, than a money changer shouts "Hello, hello, dollar, mark" in my ear and waves a wad of green Bartóks at me. Józsefvárosi is not the place to come for an antique watch or an undiscovered master. The vendors here concentrate solely on new stuff, mostly clothing, and in large quantities. Besides selling to the general public, the traders also provide many Budapest family stall holders with wholesale goods - mostly clothes. Every sign shows two prices - egy and sok (‘one’ and ‘many’) - price for one unit or bulk buying. A Vietnamese lady tells us that 'sok' means twenty 'nagyon szép' (‘very beautiful’) t-shirts or more, but unfortunately I reach my limit after ten pairs of black striped sports socks. Working your way through the market requires strength, endurance and considerable patience. A slow snake of customers winds its way along the narrow passage between stalls. This is made even more claustrophobic when it rains and sheets of plastic up above turn the passage into a tunnel. A barrage of traders, dragging sharp, pointy trolleys in their wake continuously come the other way and the cries of ‘Vigyázz, vigyázz’ (‘watch out, watch out’) in a dozen different accents fill the air. If you make it down to the far end you are rewarded with delicious smells which waft from the many food stalls that provide sustenance for those who spend their entire lives here. The Gül Baba Turkish büfé makes an enticing meaty kebab for Ft300 - a pitta bread stuffed with meat, salad and a spicy sauce. Next door, a young boy is ladling an assortment of meat chunks, cabbage, noodles, mushrooms and what looks like seaweed into plastic bowls ready for reheating in the Kinai Büfé - Chinese eaterie. The third stall in the row, Nilus offers more Doner kebabs with Egyptian spices. Diners stand at chin high stalls, trying to eat and not be mown down by traders pushing giant boxes on wheels. Many stand around smoking and chatting in this microcosm of human society. The sound of Russian, Ukrainian, Slovak, Romanian, Serbian, Turkish, Chinese and Vietnami voices speaking their own languages as well as Hungarian creates a heady, exotic mixture. Apart from one incident which was reportedly against heavy-handed security techniques, all the different nationalities appear to enjoy each others company and mix peacefully. The trainers are on offer for ridiculously low prices, but a closer inspection reveals that many of the famous brand names have one or two letters different from the original, you can find tape-recorders by ‘Panasoanic’ and ‘Adiads’ jogging pants. In the pouring rain, one customer asks the security guy where he bought his elegant long green plastic raincoat, which he wears over the regulation paramilitary outfit. Between mouthfuls of kebab, the bouncers direct him to a stall nearby. The market is the place to go for slippers, sports clothing, electrical goods, cheap T-shirts, jeans, pants, socks and sandals so you'll look like a local in the swimming pool. We examine some black Adiads running shorts with bright yellow stripes around the leg. They are only Ft1,000 but miles too big, ‘Nagyon szép, nagyon jó’ (‘very nice, very good’) insists the Chinese trader. Józsefvárosi market is also a good place to find electrical goods. Harassed Hungarian parents come here at weekends to buy their children the latest playground craze, the laser pens. ‘Both my sons have to have them,’ says a lady out shopping, ‘They aren't real lasers of course, for Ft1,500, but they are so popular now, I can't say no’. Besides the pens, there are many versions of pocket computer games and food liquidizers on offer. For more electrical goods, get back on the number 28 tram and head out to almost the end stop, where you find Kôbányi bazár, which used to be known by many as the Russian market, however it seems that now less traders come from such great distances and many have moved to Budapest. Anya from Tblisi, Georgia has a stall selling electrical goods. On offer is a plastic-looking juicer called Nushi. Made in China, it only costs Ft3,500, although it doesn't look like it would stand the strain of pulverizing too many carrots. Exotic looking and friendly, Anya she says she lives in Budapest now but brings the stuff over from Tblisi. When asked if this is legal, she shrugs, looks unconcerned and says, ‘Well, no not really’. Near the entrance, which is guarded by a building with two-way mirrors and signs in four languages forbidding everything, an extended family of Romanians are having a party. It is Marius’s birthday and his mum Radika known as ‘the boss’, as she oversees many stalls down the right hand side of the market, has bought a big chocolate cake, which she slices up. Many customers are keen to buy a slice, but its only for family and friends. The group came from Nagyvárad but now live here in Budapest. The customers here seem quite poor, they stock up on clothes and household products, cleaning products and foods - packet soups, raisins and Turkish soap. Many come from Slovakia, Ukraine, Romania, Croatia, all neighbouring countries by bus every day, it is a hard life and many of the older traders now appear to have given up and stay at home. 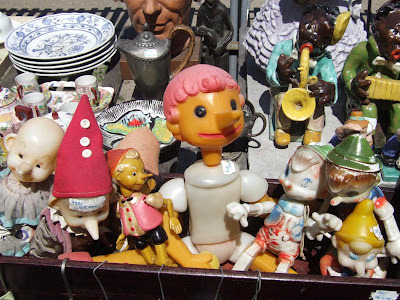 At one time, Kôbányai bazár was a good place to find unusual knick-knacks from Russia and Ukraine and resembled the lively market behind the cigarette factory in Debrecen. Nowadays, it seems to be all training shoes and tools. Long rows of covered stalls are regulated and there is no longer the heady excitement of the hunt for a treasure. In the middle is the food area, the Csülök csarda (‘Pig’s Knuckle Inn’) and the Dudó ételbar offer Hungarian foods, breaded and fried things, and delicious-smelling home-made sausages, washed down with a fröccs (white wine spritzer) or a mulled wine in winter. Down at the far right hand corner, traders lay out pieces of curtain on the ground and display carved wooden objects, more spare parts and metal clockwork children's toys that have seen better days. The mixture of languages is more Slavic here, although we also hear Romanian, Romany and some Chinese amongst the Hungarian. The mixture is sometimes charming, ‘Eto nye kisci, eto bolshoi’ (‘this isn’t small, it’s big’) one elderly Russian lady insists when I say the jumper for Ft1,700 looks abit too tight under the arms. A customer buys a haversack off Irina who comes every day from over the border in Ukraine on the coach. It is a hard life and now she has nothing to carry her goods home in. She will have to sell everything a little cheaper to get rid of it today, she says. 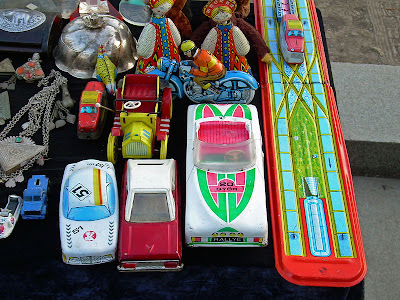 Treasure hunters usually try the Ecseri market, situated half an hour's bus ride away in a distant suburb of south-east Budapest. The market is fairly deserted during the week, but comes alive on Saturday when serious collectors mingle with tourists. At Esceri you are less and less likely to find a bargain, the prices start in the thousands for beautifully-restored gramophone record players, china figurines, paintings and all manner of furniture. Stalls selling jeans and leather jackets starting at Ft6,000 blend in with heaps of machinery spare parts, where a man with the lowest, smokiest voice in the world holds court and surprises German tourists when he croaks, ‘Tessék’ (‘can I help you?’). Here, you can still find oddities like communist badges for Ft100, black and white picture postcards showing another, more elegant world. Pleasures of the modern world are provided by the excellent lángos stall, where the hot doughy frisbees come with sour cream and grated cheese and the garlic liquid is dripped out of a jam jar using a feather strapped to a twig. The stall in the middle of the covered section is also very popular for its pörkölt (stew) and palacsinta (pancake) selection. Ecseri has a huge outdoor section where you can find all sorts of furniture, from chests of drawers, cupboards and cookers to bedsteads, chairs and lamp stands. We even find a 12-inch bronze plaque of the late Lord Rothermere's father. ‘He was a great friend of the Hungarian people,’ says the trader when we inquire about the price. For a less wallet-punishing Saturday morning, we head for the ‘flea market’ in Petôfi Csarnok (PeCsa), where hobbyists, collectors, traders gather at weekends. Until recently a lot of poor people also gathered outside on the vast concrete space, and sold goods laid out on the ground. When the rules were tightened, the market shifted back inside the walls of the Petôfi Csarnok and those that couldn't afford the stall rental headed off somewhere where they did not have to pay rent, back to Hunyadi tér or the even more downtrodden Teleki tér. With the individual traders now inside, both they and the customer have to pay a fee to get in. PeCsa is a good place to find dinner plates, badges, children's toys and clothes. On Friday afternoon there is no sign of the group of traders who gather in Hunyádi tér. Ildi néni says ‘I think it's disgusting the way the police kick these poor people out. Some people can't even buy a kilo of bread until they've sold something in the market. But the police don't let them sell here, because they don't pay any tax’. Behind Oktogon, very poor people, scratching a living selling things scavenged from bins, other flea markets and allegedly a lot of stolen stuff, things taken from mum's sideboard or people's own personal property that they need to hawk for the price of a meal. People trying to make a living this way, get moved on continually by the police. The Batthány tér vendors, who mostly appeared to sell prescription drugs: packets of algopyrin (Magyar aspirin), contraceptives and dangerous looking heart pills, were moved on. They went to the outside free part of PeCsa. The ones that couldn't afford to move inside then went to Hunyadi tér and the really poor hang out in Teleki tér, where the homeless sit and drink from a communal giant Sprite bottle, oblivious to the lack of customer traffic in this area. On Monday morning at 9am, a few people, all men stand around. There are pieces of material on the muddy ground with a few squeezy plastic toys, electric cables and an odd left shoe. One trader Jenô says, ‘I come here most mornings, but don't sell much, mostly stuff that I find hanging around’. He says he usually gets stopped by the police then gives up for the day, ‘I go to the market get some bread and something to drink then we sit around. That's free at least’. not legal, so opening hours vary, mostly early morning. A Verseny utca tudtommal mult évben bezárt. Thank you for providing me and others with a very useful and exciting site. Sorry for posting this in the comments, but I could not find an e-mail to reach you. threatened parts of the old city. If it's possible, I would be honoured if you could link back to my blog. Please come back and blog some more...I just discovered you! thanks for the kind message! I haven't stopped blogging, I have just been really busy recently. I moved house. I will post some more articles soon! Just came back from Budapest. 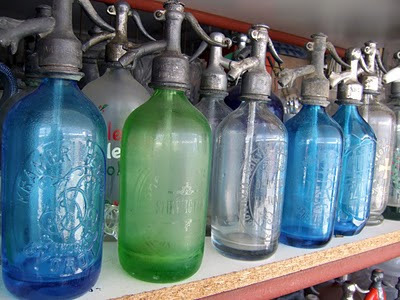 Good place, good Flea markets. Novak piac -Versény utca-HAS BEEN CLOSED FOR 3 YEARS-Do not go there. is 3-4 blocks away from Hatar ut- Have fun. And YES, Kempinsky is a great hotel located in the center.